When seeking help for shedding or hair loss, NZYMES® Antioxidant products can usually be your saving grace, and not just because of the 120-day Guarantee, but because they deliver the desired results by getting right to the CORE of the problem – skin, and hair follicle health that is NOT what it should be. This is ultra common with dogs, and not totally uncommon in cats. A great deal of the blame for poor skin/coat health in dogs can be blamed on poorer quality pet foods readily available – which tend to be ultra-cheap, but therefore lacking in substantial nutritional value (contrary to their fancy commercials). Worse yet, even when your pet may be getting a High-quality premium Pet Food, there is still an essential element missing from the daily diet. That would be food that is ‘still alive’. Animals that live in the wild, such as the wolf, can have extended lifespans, sometimes twice that of their domesticated counterparts. This is because they live on “live food” (what they kill). Wolves or dogs in the wild don’t go looking for corn, grain or leafy plants; as carnivores, they will generally live off the ‘live kill’ and be very healthy. This is where the special properties of our NZYMES® come into play. Your pet needs some LIVE NUTRITION in the daily diet to allow the body to function in a more healthy manner; even a ‘little bit’ each day can make a major difference. This is easy to accomplish – by giving your dog the advantage of either the Antioxidant Treats or Sprouted Granules to suffice for just that ‘little bit’ of live food each day. The Granules are the better choice for large dogs (economic advantage) and are also a better choice for finicky cats. If your pet just has poor skin and hair-follicle health (at the root of shedding issues), EITHER of these Antioxidant products can give the body the resources needed to greatly enhance skin/follicle health – with the result of a stronger and more shed-free coat. So, why not give your dog the chance to show how well his or her body can perform or improve? 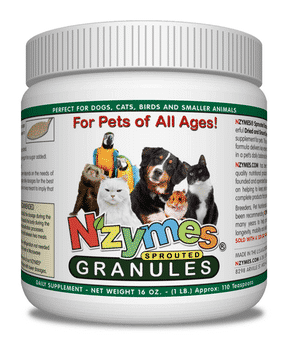 Add a tiny amount of either NZYMES® product to the daily diet each day and watch your pet’s health begin to improve over coming weeks, in numerous ways; not just shedding, but less itching, more stamina, less joint discomfort & better mobility, etc. Even if you don’t move to a more nutritious mainline diet, which we highly recommend, we expect you to see many obvious improvements in quality of life. It is also important to keep in mind – that correcting these matters is about the body improving its health from the inside-out; so, it can take 30-90 days to start showing real improvement (one reason for our 120-Day Guarantee). After all, the skin is the largest organ of the body, and complex problems within the skin or coat do not normally resolve quickly. We mentioned MOBILITY improvements above; see how these products can help with the MOST SERIOUS MOBILITY ISSUES. On another side of the coin, there are other considerations to take into account. 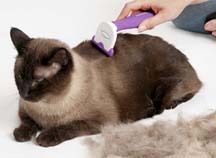 For one, it is important to accept that with any pet, some amount of shedding in a dog or cat is usually normal, depending on coat type, breed, etc. Most pets will never be completely “shedding free”. And, in the case of exaggerated HAIR LOSS, your dog (or cat) could be dealing with a much more serious issue. 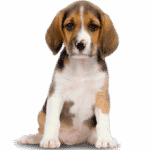 Way too many dogs these days, as a side-effect of Rabies vaccination or Antibiotics use, are ending up with serious damage to intestinal Flora (friendly bacteria destruction) that leaves the body wide open to fungus overtaking the gut. If immune function is sub-par, things can really get out of hand with yeast fungi. Candida yeast is a formidable foe, and essentially responsible for the vast majority of dog skin problems in our modern era, with major hair-loss as one of the related symptoms. So, we ask that you stop and think for a moment – are there any other symptoms seen with your pet? Not sure? Be safe, check it out by using our Symptom Checker mechanism; VISIT OUR SYMPTOM CHECKER. Getting a Symptom Checker score of 4 or more is good evidence that digestive troubles and YEAST are at the core of your dog’s hair loss troubles. If that is the case, to get the right help, you should either GIVE US A CALL (877-816-6500) or redirect to our HEALTHY-SKIN PROGRAM page. IF none of this pertains to your situation, and shedding or minor hair loss issues are your main concern, continue exploring the remaining information on this page. 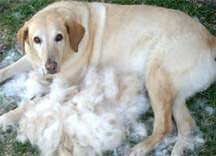 Though each pet is different, we generally see significant improvement, occasionally as much as a 70-90% reduction in a dog’s regular daily shedding – after 4 to 5 months. Cats have entirely different types of coats, and though there may be significant variation, we still expect noticeable improvement. Annual shedding or ‘blowing coat’ is a normal metabolic process for almost all dogs; however, year-round shedding can be a strong sign of nutritional deficiencies, which contribute to a significant weakening of a pet’s immune system. Most often the cause is poor quality pet foods, which are lacking the amino acids, vitamins, and minerals, the nutritional ingredients needed to maintain good health. What’s Really in Pet Foods? (Note: After food changes, pets may blow-coat which could take up to 6 months to replace). A low thyroid condition can often contribute to hair loss. Symptoms are usually seen as asymmetrical hair-loss that happens equally on both sides of the body or along the rear legs. Pets with this condition often require thyroid medication. If your symptoms are similar then you should have a blood workup done by your vet or submit a blood sample to Dr. Jean Dodds, the leading veterinary expert in this area (see link below). After beginning NZYMES®, we occasionally see a balancing of the thyroid (t3 and t4 levels) after 3-6 months, and a marked reduction in the thyroid medication requirements for some pets. Though not the POPULAR position, what we prove on a regular basis is that… Allergies, hair loss, or food reaction issues most often turn out to be Yeast related issues, as discussed previously on this page. And these issues are so very common due to many factors; at the top of that list is the preponderance of poor quality dog foods most commonly available (with high glycemic carbs) as well as the high percentage of dogs these days with under-performing immune function and related issues – due to over-breeding in our modern world. Many dogs have reactions to the ingredients, preservatives or the additives contained in a large number of commercial pet foods. Each day, we receive calls from pet owners who describe symptoms commonly diagnosed as FOOD ALLERGIES. These symptoms may include shedding, hair loss, itchiness, inflammation, dry skin, flaky skin, rashes, hot spots, and much more. They have been told that their DOG or CAT is allergic to one substance or another. There is partial truth told here; certain substances are certainly causing a reaction, but the reaction is to sugar coming from starchy foods – high in Glycemic index. Some folks have paid good money for allergy testing and have been convinced by their vets or dermatologists that their pets are specifically allergic to BEEF, CHICKEN, LAMB, RICE, CORN, SOY or many other ingredients. They tell us about the years of treatment and the costly medications needed to try to eliminate the symptoms their pets suffer from. But the pets never seem to improve or resolve any of the problems. NEVER do we hear these people discuss their Vets mentioning the dangerous preservatives, chemicals, flavorings, food colorings or additives used in making the brands pet foods they prescribe. Just ask yourself, does this sound logical? We don’t think so! By far, the majority of these cases we find are directly related to a breakdown of the GI tract and an overgrowth of candida yeast. Rarely do we see a diagnosed FOOD ALLERGY or FOOD REACTION problem with a dog or cat that does not start to resolve itself with proper nutrition and correct supplementation necessary to start reversing an incorrect balance in the GI Tract. The symptoms that have an initial ‘appearance’ of being “allergy related” can quickly lead to a misdiagnosis of “ALLERGIES” because the fungi problem (yeast having taken over the gut) is likely among the most overlooked sources of grave illness in our modern times, with humans as much as with dogs. This internal GI imbalance is highly related to weakened or underperforming immune systems, and (since yeast feeds on sugar) is made worse by feeding processed carbohydrates (i.e., grains, wheat flour, corn meal, corn gluten meal, white rice, rice flour, potatoes, pasta, sugars, etc.) – which are widely used in most of today’s pet foods and treats. However, in some cases, general itchiness and simple rashes can also be related to chemical additives in some of the poorer quality pets foods being sold today. The really unfortunate thing is… that the typical ‘treatments’ for what is thought to be ‘allergies’, end up aggravating the issue and making things worse. Mange issues, just like Yeast Candida issues, can often be a result of a compromised or ill-performing immune system. Our NZYMES® products help increase the natural absorption of nutrients and strengthen the overall immune system and shorten the time needed for recovery. For these problems, recommend the support of one of our 3-Pak Kits along with really good food, like those we recommend. 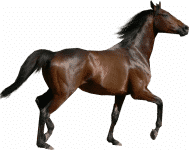 This is an issue best evaluated by your veterinarian, but you can contact this site below to discuss your problem and the natural treatments. See NEAR the bottom of the PetsBestRX page for detailed info about the 4 different types of Mange – per this clip from their page.